This cozy little island getaway is located in the Southwestern district of the island. Sumari's Loft is located in a quiet neighborhood right outside the noise of the city but not too far from anything. The place is perfect for rest, relaxation, and work. As its quiet and peaceful. 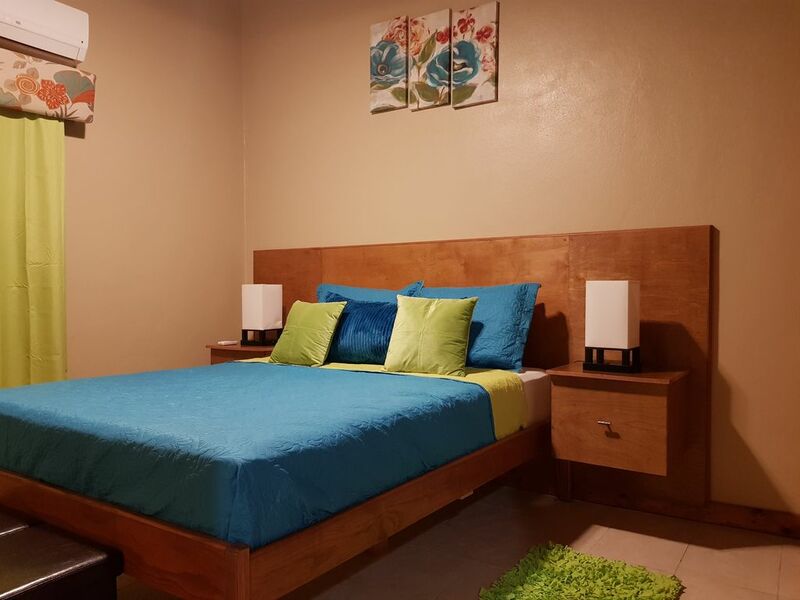 Vibrantly decorated, with colors capturing the beauty of island life. A loft space is included above perfect for reading and reflection. If you like peace and quiet for either working and/or relaxation, this is the place for you. The airport is 10 to 15 minutes away by car. The world renowned Bahamar is a 5 minute drive away where you can access the largest casino in the Caribbean and visualize stunning artwork & architecture. Beaches, shopping and dining are also nearby via car. Life's too short, so come and visit the beautiful islands of the Bahamas. We look forward to hosting you in the near future! Parking is provided in the front of the unit. Bath, and kitchen towels provided. Living room seats 4 persons. The couch is also a queen sleep sofa. Entrance has a raised patio with one step to get to entrance.